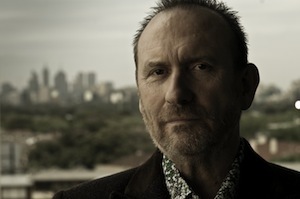 Colin Hay has released nine albums since founding own label Lazy Eye in 1992. Peaks & Valleys (1992), an outing for solo acoustic guitar and voice; Topanga (1994), a rock album that featured “Waiting for My Real Life to Begin;” Transcendental Highway (1988); the acoustic Going Somewhere (2001); Company of Strangers (2002); a collection of newly recorded Men at Work hits and some new songs called Man At Work (2003); Are You Lookin’ at Me? (2006); American Sunshine (2009) and the current Gathering Mercury.